In this project, we are investigating how cropping system diversification through legume cover crops impacts nitrogen (N) fixation, soil organic matter (SOM) pools, and the sustainability of organic vegetable farms. Specifically, we are studying legume cover crops as both sources of new N and as winter cover in vegetable crop rotations in Southern Michigan. Despite growing interest in cover cropping, there is still a need for information to help farmers optimize cover crop management (e.g., species selection, timing of incorporation) to maximize their ecological benefits while maintaining or improving crop yields and farm profitability. 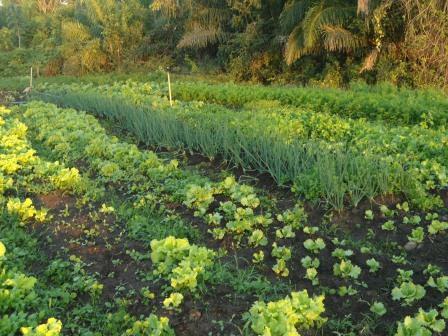 We are partnering with small-scale organic vegetable farmers to conduct on-farm research testing different legume and grass species grown in monocultures and mixtures for biomass production, N inputs from legume N fixation using stable isotope methods, and impacts on soil nutrient cycling and soil organic matter (SOM) pools. We expect that legume N sources will build SOM, increase N storage in labile SOM fractions, and reduce surplus N and the need for external N inputs such as manure and compost. This research seeks to address key knowledge gaps in nutrient management on organic farms, and help enhance the ecological sustainability of a rapidly growing sub-group of the organic agriculture sector. Though Brazil has a rapidly industrializing agricultural sector, it is also renowned for innovative policy programs linking support for more sustainable rural production with community food security and food access goals. However, the policies designed to support the family-farming sector have received limited research attention and investment compared to support for large-scale commodity production. In this new interdisciplinary collaboration, we seek to inform the identification and scaling up of multifunctional food systems that generate ecosystem services beyond production. We are building on previous research we conducted on family farms in the Brazilian Cerrado (Brazil’s soybean capital) and extending the approach to the Atlantic Forest biome in the state of Santa Catarina (Brazil’s agroecology capital). We are investigating socioecological mechanisms in agricultural landscapes that may lead to joint improvements in rural livelihoods and ecosystem function in two biodiversity hotspots in Brazil. We are also determining the role of agrobiodiversity in providing positive nutritional and dietary outcomes, using dietary diversity as a proxy, for family farmers with a wide range of management systems. Understanding how different management systems drive social and ecological outcomes can inform policy development and more strategic targeting of public investments. My postdoctoral research at the Federal University of Mato Grosso, in Cuiabá, Mato Grosso, Brazil, was an interdisciplinary evaluation of smallholder agrarian reform settlements in the ecologically-important Cerrado region of Brazil’s center-west. The Cerrado is the most extensive savanna in South America, the second largest biome in Brazil, and a biodiversity hot spot. This biome has become a focal point for industrial agriculture in recent decades, threatening its native grassland and forest ecosystems. 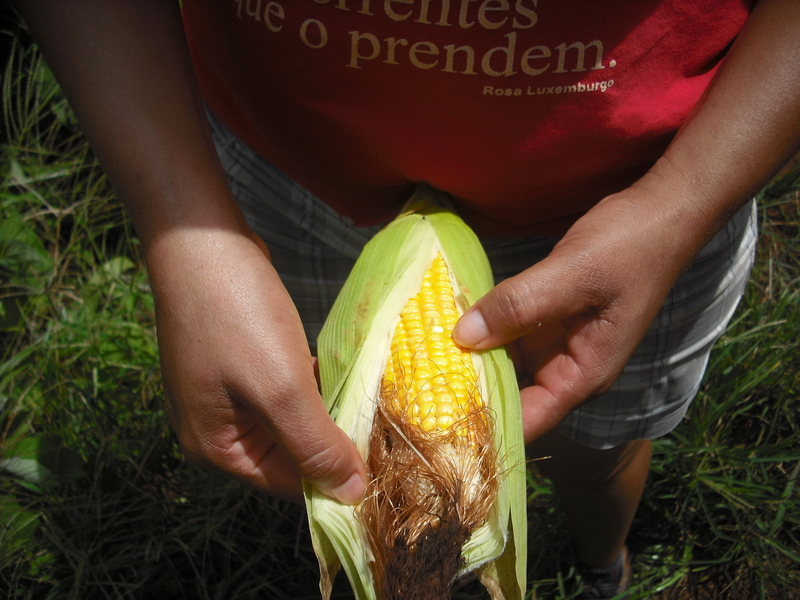 Land reform social movements such as O Movimento dos Trabalhadores Rurais Sem Terra (MST – the Rural Landless Workers’ Movement) have also become important actors in the Cerrado over the past 15 years promoting food sovereignty and agroecological production of diverse crops. Yet adoption of these practices on MST farms is complex and variable. This project focused on three central questions: 1) Within and among land reform settlements in Mato Grosso, who is farming using agroecological practices and why? 2) How do agroecological practices and approaches emerge on settlement farms and how are they sustained? 3) What effects do these farming systems have on ecological efficiency? My dissertation research was part of an interdisciplinary collaboration funded by the Coupled Human and Natural Systems Program of the National Science Foundation. Our team included agronomists, ecologists, biogeochemical modelers, geographers, rural sociologists, and economists from multiple universities, as well as an economist from the World Resources Institute. We focused on ecological and social factors—at spatial scales spanning farm to region—contributing to the problem of nitrate leaching losses from intensive grain agriculture in the Mississippi River Basin. Nitrogen is an important element limiting crop productivity, yet nitrate leaching is the primary cause of the oxygen-depleted “dead zone” that appears each summer in the Gulf of Mexico. Nitrogen pollution is also an important contributor to climate change via emissions of nitrous oxide. 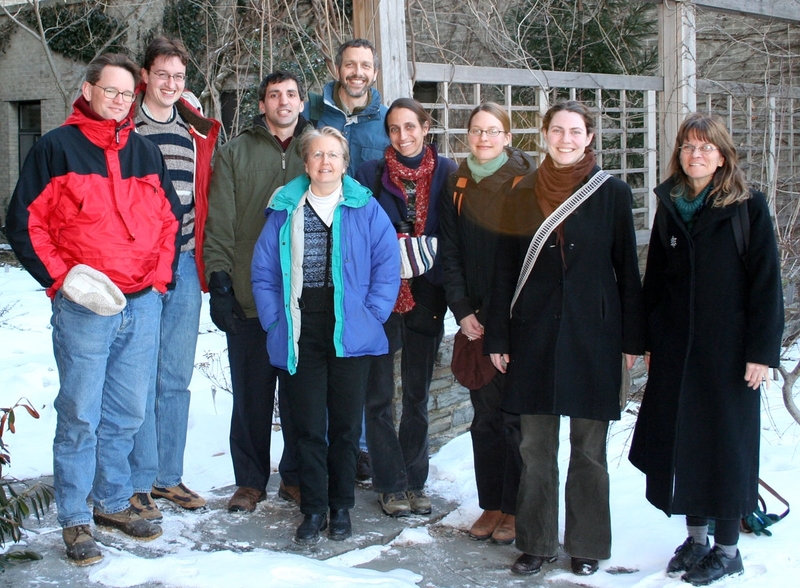 Joining this research team, and understanding environmental problems as socioecological, inspired me to become a broadly-trained, interdisciplinary scientist. 1) How does agroecosystem management affect nitrogen mass balance on grain farms in the United States Corn Belt? 2) How do cover crops impact the cycling and retention of 15N-labeled fertilizer in tile-drained Mollisols? 3) How do farmers transition to agroecological management in the Mississippi River Basin?